Continuing our theme of the First Foot Guards this is our second release. 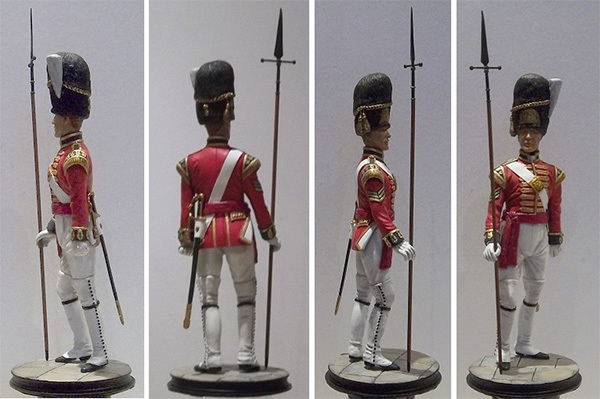 The model makes up into a very colourful subject and is an ideal complement to Kit No 8006 Officer First Foot Guards. Due for release soon will be a Private that will complete this set. A large base is available so that all three figures can be displayed together. Please contact us for details.